Kiev (AFP) - Ukrainian President Petro Poroshenko has appointed John McCain, a hawkish US senator who has pressed Washington to send lethal weapons to war-torn Ukraine, as his advisor, his administration said. Ukraine's pro-Western authorities are putting together an advisory council to help the ex-Soviet country conduct reforms and build global support for Ukraine. 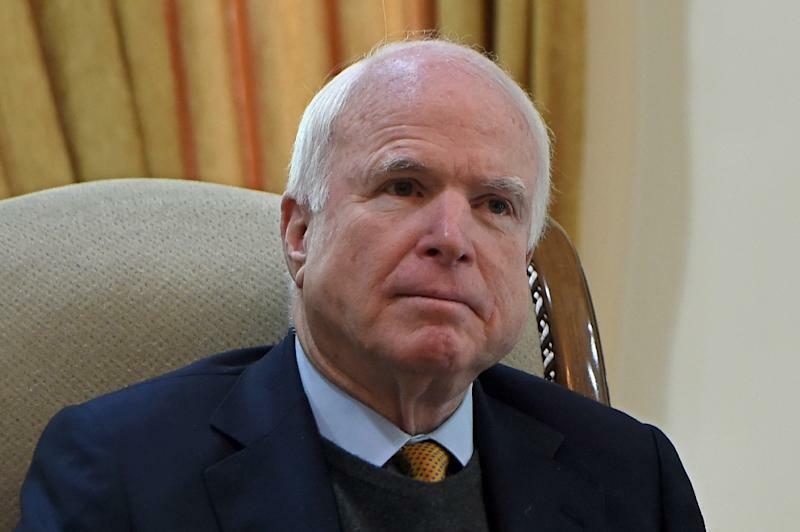 Pending his agreement, McCain, the Republican senator for Arizona, will become a member of the council, along with Carl Bildt, the former prime minister of Sweden known for his vocal criticism of Russian President Vladimir Putin, according to a decree released by Poroshenko's administration on Wednesday. The Advisory International Council of Reforms is to be headed by Mikheil Saakashvili, the fiercely pro-Western former president of Georgia, and will also include Elmar Brok, a member of the European Parliament, and economist Anders Aslund. The US senator said he would be honoured to take up the post, adding however that he first had to be cleared by the Senate. "Deeply honored to be asked to advise the gov't of #Ukraine. Must ensure compliance w/ Senate rules, but I'll always stand w/ free #Ukraine," McCain said on Twitter. Since April 2014, Ukrainian forces have been battling pro-Russian separatists in eastern Ukraine in a bid to prevent the secession of the Russian-speaking regions of Donetsk and Lugansk. The West and Kiev have accused the Kremlin of instigating the insurgency and supporting militants with weapons, funds and troops. Moscow has denied the claims.